MANHATTAN (CN) – Deutsche Bank announced Wednesday that it will pay $220 million to settle charges from 45 states over the manipulation of currency rates before and during the financial crisis. Clocking in at 75 pages, the settlement agreement states that Deutsche Bank manipulated several benchmark rates, including the U.S. dollar and Libor, an acronym for the London Interbank Offered Rate, for at least five years. Meant to represent an average rate charged by leading banks, Libor is the benchmark interest rate used to determine the return on investment for swaps, structured notes, collateralized debt obligations and several other types of financial instruments. 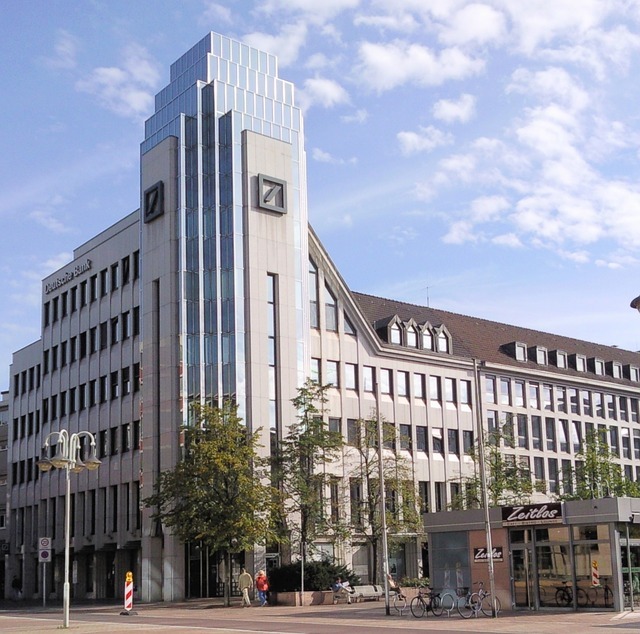 Deutsche Bank was one of 16 banks that submitted U.S. dollar Libor rates from 2005 to 2010. Prosecutors say it gamed the interest rate by submitting false rates and influencing other banks to do the same. Such manipulation painted a false portrait of borrowing rates that did not match its actual borrowing costs, thereby defrauding other investors, nonprofits and government institutions among them. New York and California led the 45-state working group investigating Deutsche Bank. The Deutsche Bank settlement is another for Schneiderman, who in 2016 joined 43 other state attorneys general and settled with Barclays for $100 million in a similar LIBOR-manipulation scheme. It is also another settlement for Deutsche Bank in the growing Libor scandal. The bank paid $77 million over the summer to settle investor lawsuits related to currency manipulation. It also fired seven employees and in 2015 paid one of the largest fines related to the scandal — $2.5 billion to U.S. and U.K. regulators. This latest settlement says that from 2005 through 2010 Deutsche Bank made false Libor submissions and attempted to manipulate other banks’ submissions, which allowed some of the bank’s employees to improve their trading positions. In another message, a submitter wrote to an interdealer money broker that another submitter had submitted a rate that was too high. “Need him to not get too carried away today!” the submitter wrote. Other communications showed submitters and traders working to influence their counterparts at Bank of America and other banks to further game Libor rates, sometimes successfully. According to the 75-page settlement, nonprofits and other entities that had Libor-linked swaps and other investment contracts with Deutsche Bank may be eligible for a portion of the $213 million settlement fund. The remainder of the settlement will be used to offset investigation costs. Deutsche Bank also certified that it substantially complied with a 2015 consent order with the Commodity Futures Trading Commission over Libor reforms, and must continue to cooperate with the state attorneys general.